Alexander Zahar & Göran Sluiter, International Criminal Law—A Critical Introduction (OUP 2007). Göran Sluiter, Trends in the Development of a Unified Law of International Criminal Procedure, in Future Perspectives on International Criminal Justice 585 (Carsten Stahn & Larissa van den Herik, eds., 2010). 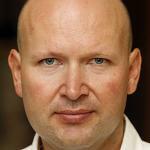 Göran Sluiter, Obtaining Cooperation from Sudan—Where Is the Law?, 6 J. Int’l Crim. Just. 871 (2008), paywall. Masha Fedorova & Göran Sluiter, Human Rights as Minimum Standards in International Criminal Proceedings, 3 HR&ILD 9 (2009), paywall. Göran Sluiter, “I Beg You, Please Come Testify”—The Problematic Absence of Subpoena Powers at the ICC, 12 New Crim. L. Rev. 590 (2009), available online. Lily O’Neill & Göran Sluiter, The Right to Appeal a Judgment of the Extraordinary Chambers in the Courts of Cambodia, 10 Melb. J. Int’l L. 596 (2009), available online.